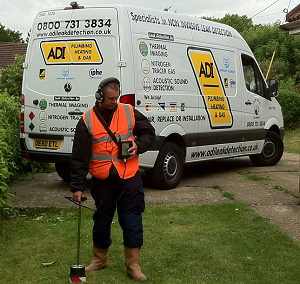 Because our engineers have access to the latest in leak detection equipment it means that we can track down leaks very efficiently. 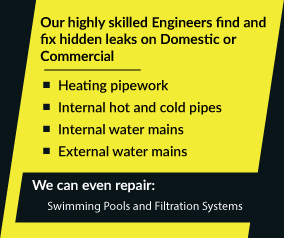 It doesn’t matter if your leak is internal or external our engineers can find it. We also do our best to provide the bare minimum of disruption to your home or business and get the job done as effectively as possible. We can also offer you extremely competitive pricing as part of our overall package. If your location isn’t listed above don’t worry – we’re happy to serve customers anywhere in the UK. Stop worrying and call ADI today on 08007313843 and we can chat with you about how we can help you today.